While I love taking photos, sometimes I get in a rut and need inspiration or I think everything feels the same so I want to try new things and learn new techniques. But where to go? Often it is Pinterest, or a new online article, or perusing the book store but there is something about magazines that call to me. I don’t know if it is the pictures or the articles or even the advertisements or the combination of all those elements together. Photography magazines have beautiful photos of landscapes, interesting people and exotic animals but they don’t necessarily talk about capturing the story of the everyday. I finally found a magazine that was meant for me – Click Magazine. Click is the perfect combination of narrative, photography techniques, use of light, inspiration and so much more. There are six issues a year and I anxiously await each one. Click Magazine is a great place to start for people looking to tell stories through photos and improve their photography skills. This entry was posted in inspiration, photography and tagged photography by mabufive. Bookmark the permalink. 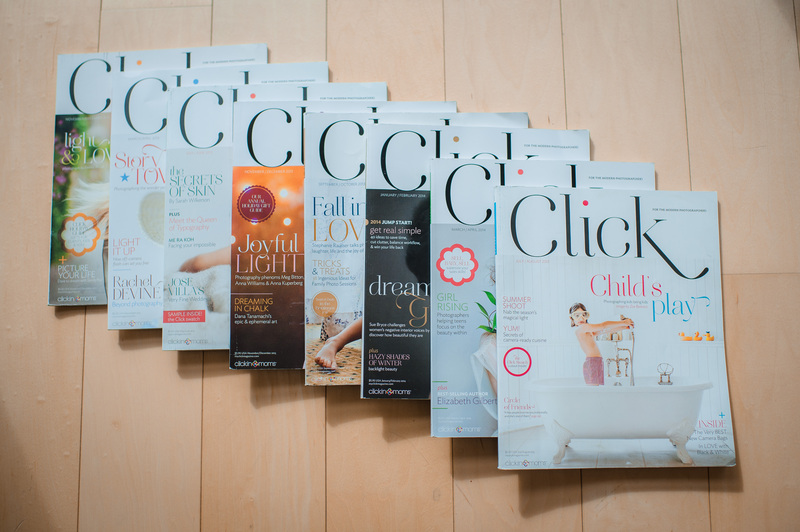 I love Click magazine too…and so so so know what you mean about those ruts!! !